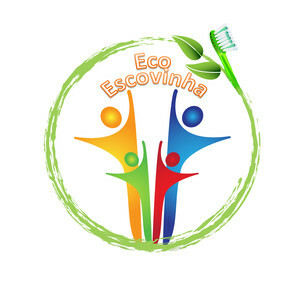 The EcoEscovinha (EcoToothbrush) project promotes an increased environmental awareness via the collection of toothbrushes that have been used for more than three months in order to be recycled. This minimises the tonnes of waste plastic sent to be incinerated or deposited at landfill sites. Implemented in Portugal since October 2012, this project is part of a larger social responsibilities project “Miúdos Optimistas, Miúdos Saudáveis!” (Optimistic Kids, Healthy Kids!) which has the promotion of healthy living through oral health at its core. A que desafio é que o projeto pretende dar resposta? Daily brushing is an act of personal hygiene that is necessary for good oral health. The life expectancy of a toothbrush that is used on average twice a day is roughly three months, due to the wear and tear of the nylon filaments as well as the possible growth of pathogenic micro-organisms. Therefore, it is recommended by the scientific community, that a toothbrush be replaced every three months. Thus, the average person uses four toothbrushes per year. In the specific example of Portugal, a country with an estimated population of ten million inhabitants, an estimated 40 million toothbrushes are incinerated or end up in landfill sites each year. The negative impact on the environment caused by throwing this number of toothbrushes out can not be denied. It has been proved that it is indeed possible to recycle the plastic used to make toothbrushes by using it in the process of making urban furniture which is highly durable and may even be used as a substitute to wood. The project EcoEscovinha (EcoToothbrush) aims to give the plastic used for toothbrushes a more sustainable end by sending collected toothbrushes to be recycled. Que solução apresenta o projeto e por que razão é única? Bearing in mind that changing behaviours in terms of recycling has a higher impact on the younger population, which in turn influences the adult population, it was decided that the project would be implemented in nursery, primary and secondary schools. It was therefore suggested to schools that a designated container by the name of “EcoEscovão” be used to collect the toothbrushes, in order for them to then be sent for recycling. Aside from the environmental responsibilities, side of this project there also social responsibilities such as education on matters of health, which have led to oral hygiene kits being provided for the poorest children. The project EcoEscovinha (EcoToothbrush) is not only unique but also innovative as it associates the collection and recycling of plastics from toothbrushes, it tries to alter behaviours associated with recycling whilst at the same time promoting oral health and the social responsibility from within the local community. Qual é a contribuição do projeto para a luta contra as alterações climáticas e de que forma promove um comportamento respeitador do clima? By encouraging the collection of toothbrushes for recycling, the EcoEscovinha (EcoToothbrush) project prevents thousands of toothbrushes from being sent to landfill sites as well as from being incinerated, which has obvious benefits to the environment. The materials produced as a result of the recycling will be used in the construction of urban furniture and equipment for children’s playgrounds, pedestrian bridges, walkways and beach loungers amongst many others, thus avoiding the deforestation and use of woods which would have previously been used in the construction of these items. These products have the added advantage of an increased durability, needing less maintenance and the possibility of being recycled at a later stage. Through the involvement of the educational community, the EcoEscovinha (EcoToothbrush) project promotes a greater awareness and responsibility for the importance of recycling everyday objects that have limited durability and life spans such as the toothbrush. Quem beneficia com o projeto e como? The EcoEscovinha (EcoToothbrush) project benefits everybody! The environment benefits as the level of plastics incinerated and sent to landfill sites has been lowered. The use of these recycled materials in the constructions of urban furniture contributes to the reduction of trees that are felled which would have traditionally been the material of choice. This in turn reduces the demand for the chemicals that would have previously been used in the upkeep of these items. The whole educational community benefits through the promotion of oral health associated with the “Miúdos Optimistas, Miúdos Saudáveis!” (Optimistic Kids, Healthy Kids!) with which the EcoEscovinha (EcoToothbrush) project is associated. The project benefits the poorer population as the EcoEscovinha (EcoToothbrush) project is associated with social as well as environmental responsibilities. Ultimately, everyone is a winner! Que resultados obteve até à data? One must bear in mind that the EcoEscovinha (EcoToothbrush) project was first initiated in October of 2012 as an experiment limited by phases and space, with the first “EcoEscovão” being placed at a school in January. The results therefore, are still insignificant but promissory. There are currently 16 educational institutions involved in the collection of used toothbrushes including nurseries, primary and secondary schools, including 2350 children as well as their teachers, assistants and parents. In these same schools, oral health has so far been promoted 150 times. More than 2000 used toothbrushes have so far been collected to recycling, 1040 of which roughly corresponds to 15kg of waste plastic. The objective for the academic year of 2013/14 is to widen the area covered by the project to include all schools in the district of Sintra. It should be noted that this is the second largest district in Portugal in terms of population, of which an estimated 65000 youngsters are in full time education. In order to achieve this goal, we have secured the cooperation of the local council of Sintra for the collection of toothbrush in schools to be delivered to the world of recycling. For its 2nd objective, EcoEscovinha (EcoToothbrush) hopes to be fully operational throughout the district of Sintra by 2015 with an estimated collection of 166000 toothbrushes which corresponds to roughly 2400kg. As well as the district of Sintra, in the run up to 2015, the project will gradually take effect nationally across the board. In order to do so, it is foreseen that schools as well as other establishments will collect toothbrushes through the use of the “EcoEscovão”. For its final objective, it is intended that the entire territory of Portugal be covered by this programme by 2020. These goals, though ambitions, will have results that contribute to “a world that we like”. 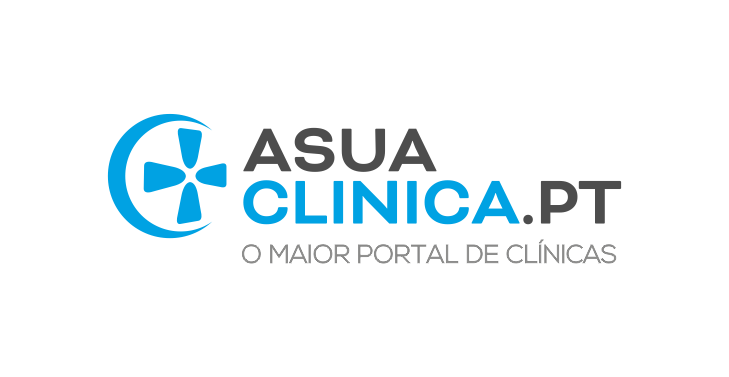 Artigo seguinteA sua Boca está a deixá-lo Doente?